Once upon a time there was a Beautiful Island with wonderful people that was regarded as God’s own country. After gaining Independence from a colonial power the modern nation with an ancient civilisation adopted a national anthem of its own.The anthem was written in the language spoken by the majority of its inhabitants. Subsequently it was translated into the language widely spoken by three of its minority communities. While the song in the language of the majority received pride of place, provision was made for both versions of the anthem to be sung whenever or wherever necessary. The melody composed for the original was the same for the translated version also. Both versions of the National anthem were sung or played in all parts of the country on appropriate occasions. When Independence day was observed the Majority language version was sung at national level. However in regions where the minority language was spoken most, the version sung at district level was that of the minority language.Similiarly schools where the medium of instruction was in the majority language the national anthem sung was also in the same language. Likewise schools where the minority language was the medium of instruction sang the national anthem in their language. In some places both versions were played one after the other. The anthem played at official functions at national level was in the language of the majority which had been enshrined as the country’s sole official language. This however did not deter the minority communities from singing the national anthem with patriotic fervour in their mother tongue on suitable occasions. Sadly the serpent of communal discord and ethnic strife entered this idyllic garden of Eden.Events deteriorated to the point where the premier national minority began to regard itself as a distinct nation and demanded the creation of a country of its own. An armed struggle was launched and civil war erupted. Substantial portions of the Island’s territory came under the control of separatist elements. Ethnic relations between the majority and chief minority community disintergrated widely and people speaking the language became increasingly alienated from the state and estranged from the majority community. A symptom of this malady was in the national anthem itself. It began to be sung only in the majority language. With the secessionist state of mind pervading community consciousness , there were no singers of the national anthem in the mother tongue of the minority community.Although the minority language version of the national anthem had been given Constitutional status, it was not sung in practice. The minority language had also been elevated as an official language by a Constitutional amendment. But in the climate of strife and confrontation it was not implemented widely.The national anthem in the minority community mother tongue was also not sung in practice though there was no legal or Constitutional barrier. And then there was a change!The long war ended with the total annihilation of the armed organization espousing the separatist cause.The Island from north to south and east to west again came under the sole writ of the democratically elected government. Members of the minority nationality began re-entering the national mainstream again. They picked up the shattered pieces of their existence and began embarking upon a brave new journey of reconciliation.Once again these members of the minority group began to think of themselves as belonging to the country where their ancestors had lived for generations.It was farewell to secessionism and an embrace of the motherland at an emotional and spiritual level.It was a strengthening of unity while retaining diversity. What better way to celebrate this return other than to sing the national anthem once again in their mother tongue now constitutionally recognized as an official language? Would it not be significant to salute their country as mother in their own language in which language they think and feel?Would it not be great to thank the mother who gave them “Knowledge,Truth,Strength and inner faith” and was also their “light divine and sentient being”.Would it not be most meaningful for an estranged and embittered people to sing of an end to “ill-will.hatred and strife” and to sing of themselves again as a “ Mighty nation marching onward,all as one and enfolded in love”? In any other land or country this development would have been welcomed and encouraged. The State would have given every assistance and help to promote the singing of the national anthem in their mother tongue by members of an ethnicity that had been out in the political cold for decades.Echoing the patriotic sentiments expressed in the national anthem in their own language which they knew best would have paved the way for greater national unity and ethnic reconciliation. But this did not happen!Instead moves were initiated to do away with the Constitutional right to sing the national anthem in the mother tongue of the national minorities.A draft law to forbid the national anthem being sung in languages other than the majority official language was mooted but was shelved due to opposition within cabinet ranks.This resulted in uncertainty about the legality of the singing of the national anthem. However in practice very clear signals were conveyed “unofficially”that only the majority language version of the national anthem should be sung everywhere.The bureaucracy as well as the armed forces were used to enforce this officially sanctioned unofficial diktat. This naturally resulted in huge disappointment and despondency.It was a slap in the face of those members of the minority ethnicity seeking to re-enter the national mainstream and foster ethnic reconciliation and harmony. It was perceived as one more instance of majoritarian arrogance. The majoritarian supremacists who had plunged the country into chaos and despair were riding high once again adding insult to injury. Dispassionate foreigners such as diplomats, academics, media and NGO personnel were aghast.They could not believe this was happening in a land that had been torn asunder by ethnic strife and was now on the path of ethnic amity and national unity.Why this intolerant attitude and heavy handed response to an issue that would have never been an issue in any sane and sensible country? But then these things do happen in the beautiful Island called Sri Lanka where I was born and bred. Hard as it may be to believe many such things are possible in the pearl of the Indian ocean now dubbed as the miracle of Asia. It is a land of paradoxes. 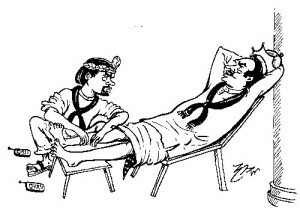 “Third class politics”to use Gamini Fonseka’s description has been Sri Lanka’s bane and ruin. Politicians from both sides of the ethnic divide have time and again pursued the politics of the irrational by appealing to raw emotions of the electorate.These political elements continue to thrive because the Sri Lankan people of all hues have demonstrated time and again that they can be whipped up into a frenzy at elections through emotive yet empty slogans and cheap political stunts.Thus it is a vicious circle of inter-dependence where the people continue to get the leaders they deserve. What prevents Sri Lanka from total misery is the ability of its leaders and people to take corrective measues at times and undo some , if not all of the damage caused. What is more these corrective measures are enacted through democratic methods. Democracy in Sri Lanka may be flawed but nevertheless the country can be proud that it remains basically democratic.One set of rascals may be replaced by another set but these are done through democratic elections. Dictatorial tendencies are curbed through the casting of the vote. These have been the silver linings prevalent in the dark clouds looming over the Island’s political horizon. One such silver lining was visible last week in the case of the national anthem. The new dispensation under President Maithripala Sirisena and Prime Minister Ranil Wickremesinghe is striving valiantly to rectify some of the wrongs perpetratd by the previous Government. One such matter seems to be that of the national anthem being sung in Tamil. The Rajapaksa regime did not ban the Tamil national anthem legally but saw to it that singing the national anthem in Tamil was forbidden in day to day affairs. 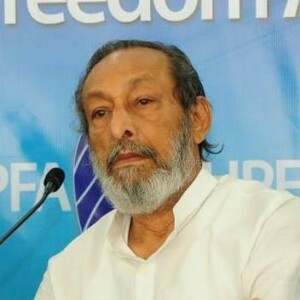 According to media reports,Democratic Peoples Front (DPF) leader Mano Ganesan had raised the issue of the national anthem being sung in Tamil at the National Executive Council meeting.President Sirisena had responded positively and reiterated the Constitutional position that there was no bar on the national anthem being sung in Tamil.He had guaranteed that the National Anthem would be sung in Tamil also. This column contacted the DPF leader to clarify the position.I am reproducing here Mano Ganesan’s responses to three questions I posed-. “What were the circumstances that motivated you to raise this issue at National Executive Council meeting & how do you feel now that the President has answered positively”? National anthem, National Flag etc are the elements of expression of nationalism of a citizen of any country. This goes with us in Sri Lanka too. During the last regime, this subject was a highly heated up issue in year 2010. Weerawansa, Gammanpila, BBS and others were on a (war) path of totally rejecting this constitutional right of the Tamil speaking community. They went to the extent of getting then interior minister John Senaviratne to submit a cabinet paper. It was to “order” citizens and state admin & school administrators to refrain from using Tamil National Anthem. But due to our combined opposition,Mahinda Rajapakse who gave tacit support to this backtracked. I remember saying then that those who claim to be “deshapremi patriots” should on the contrary support Tamil NA(National Anthem). It is not about Eelam but about Sri Lanka. It is bringing in the Tamils into the national mainstream. But I failed to convince the hardliners. Though they stopped at that point, the fear psyche had already gone into the minds of the state administrators in the Tamil speaking regions. Tamil regional GAs & AGAs & school principals either refrained or blocked the use of the Tamil NA due to their fear of the regime. And the Army in the north added brutality to this. They trained the school children band to sing only the Sinhala version. And barged into the civil events and at times stopped Tamil NA. The Sinhala only law was in action. These hardliners failed to understand the basic facts. The Tamil NA is not a new strange song about Eelam but only the translation of the Sinhala version praising Mother Lanka. And the music score is also the same. Therefore these hardliners are nothing but severe racists who reject anything Tamil and who are trying to take our country backwards. NOW, This is the era of good governance and real reconciliation. So I thought of raising this issue at the NEC. I am not in parliament. If I had been I would have raised it there. The latest is that many local media electronic and print have taken up this issue. Yesterday I was interviewed and thus spoke in many Sinhala radio channels. Last night I was in Rupavahini TV live. Today morning Weerawansa came on Neth FM radio live and blasted me. He said there can be only one language, one NA in this country since this is THE Sinhala country. 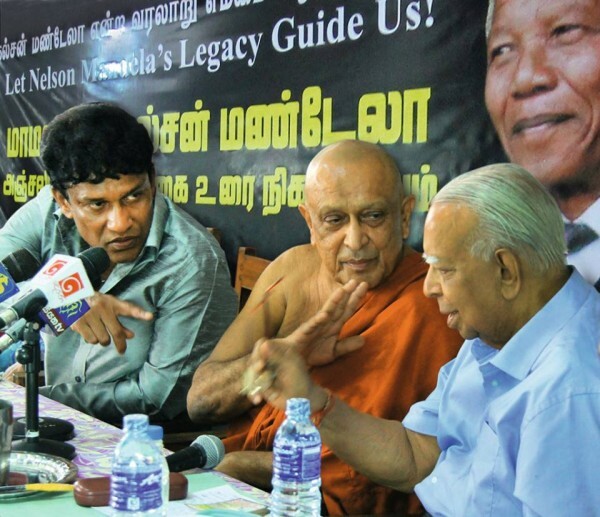 But to my pleasant surprise, the former interior minister John Seneviratne who brought the cabinet paper to ban the Tamil NA, said on the same radio that he regrets his earlier stance also adding that Tamils should have right to use the Tamil NA. So DBS, my efforts have brought about some positive developments. I was one of those who agreed with the idea of not putting the Tamil national issue in the Maithri manifesto during the presidential elections. We did not want to give any opportunity to hard liners. But it does not mean that we have to keep quiet all the time. We must choose the right time to raise issues and create discussions. It is my policy. “What is the follow up action needed now to give effect to the guarantee given by President Sirisena ? President needs to do two things. (1) A relevant circular from presidential secretariat to all the district secretariats, ministries, provincial councils, all the municipal and urban councils pradesiya sabaas and especially to all the schools and education officials clarifying the official stance of the government on the use of the Tamil NA. Do you have any specific plans in this regard in your capacity as leader of a political party based essentially in Colombo & Up Country areas with a Sinhala majority”? As DPF leader Mano Ganesan rightly observed the national anthem in Tamil is only a translation of the Sinhala original. It hails Mother Lanka and is not about Tamil Eelam. True patriots must support and not oppose the NA being sung in Tamil. In Sri Lanka those claiming to be patriots are doing the opposite. Once again the Sinhala hawks are screeching that the national anthem should not be sung in Tamil. One hopes and prays that the Sirisena-Wickremesinghe Govt will have the courage to stand firm and not give in to the protests of pseudo nationalist Sinhala patriots. The issue of singing the national anthem in Tamil is one that I feel strongly about. I yearn nostalgically for a happy past where this was not an issue at all to me. When I was a student at St. Thomas’ prep school in Kollupitiya during the times of JTR Perinpanayagam as Headmaster we used to sing the national anthem at end of term assemblies and other important events. The students were multi-ethnic – Sinhala, Tamil, Muslim, Burgher, Malay with a sprinkle of cultural minorities like Colombo Chetty, Bharatha, Sindhi, Bohra, Parsi, Chinese, Malayalee and Telugu (a great great grandson of the last King of Kandy was a student too). We were given “roneo”cyclo-styled sheets with the words in Sinhala and Tamil and the Sinhala version scripted in English. We were free to sing in whichever language but almost all of us being fluent in English preferred to sing the Sinhala words in English script. As a Tamil I don’t think I understood the meaning of the words fully but at that primary school tender age it did not matter.The words had a musical tone and the tune was lively and lilting. It was after I relocated to Jaffna in my mid –teens that I started hearing the national anthem being sung in Tamil. The students at Jaffna College were almost entirely Tamil with one or two Muslims and Malayalees. By this time one had got “politicised”in terms of ethnicity.We were more aware politically in secondary school. Besides the early seventies of the 20th century was the era of standardization that caused much upheaval amidst Tamil students.”Tamil Eelam”consciousness had not entered our lives then but we did feel strongly about discrimination and racist oppression. All things changed utterly as the ethnic conflict escalated and the Sinhala and Tamil communities drew apart. The practice of singing the national anthem in Tamil in the North and east gradually diminshed even as hostilities mounted.Before 1956 almost every major school in Jaffna had Sinhala masters (many of them Buddhist priests)to teach Sinhala to students. After Sinhala was imposed as the sole official language to the exclusion of Tamil this practice ceased.Likewise the singing of the national anthem in Tamil also went out of vogue in the Tamil area schools. This was reflected to some extent in Tamil schools in the South too but several Tamil medium Muslim schools continued with the practice. This gloomy dark phase in Sri Lanka’s post-Indepenence history is now over and the Country is slowly progressing towards its tryst with destiny. It is against this backdrop that the efforts to resurrect the national anthem must be viewed positively. Obstructing such efforts must be deplored and condemned.This is an issue that I feel strongly about and have written on it earlier.In order to understand this totally unnecessary “ Tamil NA crisis” I shall delve briefly into the history of the national anthem in Tamil and what transpired in the cabinet of Mahinda Rajapaksa on this matter in 2010 relying on some of my past writings. Sri Lanka’s national anthem was originally written in Sinhala by Ananda Samarakoon who was a well-known painter as well as poet.He had been a student at Rabindanath Tagore’s “Shantiniketan”in Bengal,India.The song was not written originally for the purpose of being a national anthem. In 1950 the then Finance minister JR Jayewardene presented a cabinet memorandum that the widely popular “Namo Namo Matha” be formally acknowledged as the official anthem. Prime minister DS Senanayake set up a select committee under the Home Affairs and Rural Development minister Sir EAP Wijeratne (Father of Dr.Nissanka Wijeratne) to finalise the issue.The committee headed by Wijeratne considered “Namo Namo Matha” and some other lyrics and decided that Samarakoon’s song should be the national anthem. Sir EAP Wijeratne then presented a cabinet paper in August 1951 recommending “Namo Namo Matha” as the national anthem.It was unanimously approved by cabinet and formally adopted on November 22nd 1951.There were two Tamil ministers in the DS Senanayake cabinet then. They were GG Ponnambalam and C. Sittambalam.It is said that even before they could make a request Premier DS Senanayake had stated that a suitable Tamil translation be formally adopted.The select committee headed by Sir EAP Wijeratne had accepted in principle that there be a Tamil version of the national anthem. The Tamil scholar Pundit M. Nallathamby was entrusted this task and a neat Transliteration was done. The Tamil version came into use and was extensively used in official functions in the pre-dominantly Tamil speaking Northern and Eastern provinces. The remarkable attribute of Sri Lanka’s national anthem is that it sings paeans of patriotic praise to the country alone and not to any race, religion, caste,creed or community. 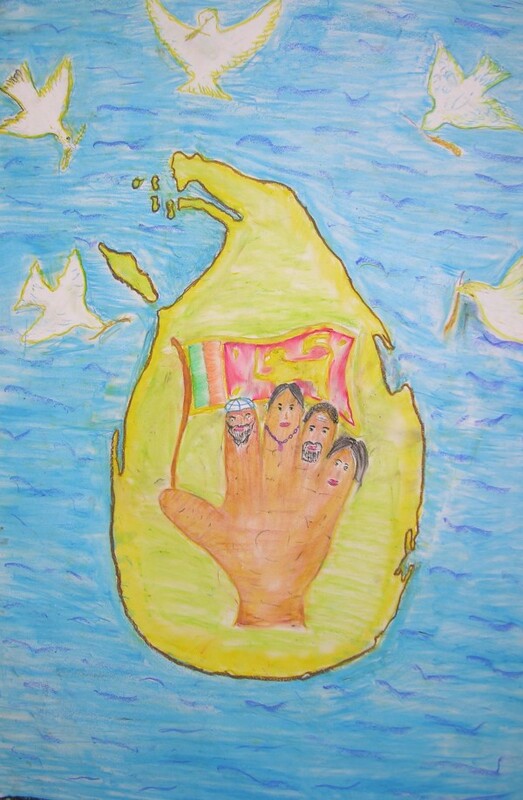 It is not parochial or partisan and appeals to the patriotic sentiments of all children of the Lankan mother. Hence, the Tamil people found no reason to reject or protest against the national anthem. Once the meaning of the Sinhala words was known few Tamils found it objectionable. With an appropriate transliteration available the Tamils of Sri Lanka found themselves singing the national anthem with emotion and fervour in their mother tongue. Four years after Freedom on February 4th 1952 , “Namo Namo Matha” was sung at Independence day ceremonies as the official national anthem.The Tamil version “Namo Namo Thaye” was sung in related independence day functions at the Jaffna, Vavuniya, Mannar, Trincomalee and Batticaloa Kachcheries.When Sir John Kotelawela visited Jaffna in 1954 the Tamil version of the national anthem was sung at functions felicitating the Prime minister. On March 12th 1952 the Government published huge advertisements in Sinhala,Tamil and English newspapers announcing that “Namo Namo Matha” was the national anthem. While words in Sinhala and Tamil were published in the Sinhala and Tamil newspapers respectively the English newspapers had Sinhala words written in English. While Namo Namo Matha was now being sung as the official anthem there was no uniformity in the melody or manner of singing. Different choirs and singers were rendering it in different ways.This was causing much confusion.So the Government decided to appoint a committee to ensure that uniformity was ensured in rendering the national anthem.An eleven member committee was appointed in 1953. Among its members were Ananda Samarakoon himself, Devar Suryasena and JDA Perera. This committee set out guidelines as to how the anthem should be sung and also defined the exact tune for it.The melody was a refined version of the original tune composed by Samarakoon .The reputed firm Cargills then agents for HMV records was given the order to make records of the national anthem. A disc was also cut for the Tamil version of the national anthem.While the melody and music was the same as that of the Sinhala version by Ananda Samarakoon the Tamil words written by Pundit Nallathamby were sung by two women Sangari and Meena. The Tamil version was first broadcast officially on “Radio Ceylon” on February 4th 1955. On June 24th 1954 the cabinet of Sir John Kotelawela formally endorsed the tune and singing of the National Anthem. The copyright ownership of “Namo Namo Matha” was formally acquired by the Government after payment of Rupees 2500 on that day. The money however did not go to Ananda Samarakoon as he had already transferred copyright to Siriwardena the printing press owner who had first published the song in a book of poems. In February 1961 the SLFP Govt of Sirima Bandaranaike changed the wording of the national anthem from “Namo ,namo Matha” to “Sri Lanka Matha’. Similiar change was made to the Tamil version also. Both the Sinhala and Tamil versions were in use for decades. There set in over the years a certain form of usage in relation to the national anthem. The original Sinhala song got pride of place in most state or official ceremonies and events. In some instances the Tamil version was also sung.It was however the practice for the Tamil version to be used in most events or functions in the Tamil speaking areas of the Northern and Eastern provinces. Most Tamil medium schools also sang the national anthem in Tamil at school events. This applied to many Tamil medium schools outside the North – East too. It was indeed noteworthy that the Tamil version continued to be in use even after Sinhala was made the sole official language in 1956. Both the Sinhala and Taml versions were sung in the sixties of the last century when the then Prime minister Dudley Senanayake visited Jaffna.When Mrs. Sirima Bandaranaike came to Jaffna as premier in 1974 to open the newly set up Jaffna campus of the University of Sri Lanka both versions were sung. It was common in those days for selected school bands and choirs to render the national anthem in Sinhala and Tamil. What is remarkable is that though the Tamil language held no official status then the more enlightened governments of the day had no qualms about the national anthem being sung in the Tamil language in Tamil medium schools or official functions in the predominantly Tamil speaking regions. 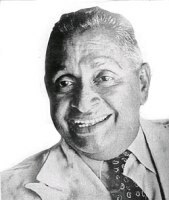 The Constitution of 1978 ushered in by the UNP regime led by Junius Richard Jayewardene provided national language status to the Tamil language. It also granted Constitutional status to the national anthem. Clause 7 of the Constitution says – “The National Anthem of the Republic of Sri Lanka shall be “Sri Lanka Matha,” the words and music of which are set out in the Third Schedule”. Both the Sinhala original and Tamil translation were acknowledged. This was done mainly because of former Kalkudah MP KW Devanayagam who was at that time the only Sri Lankan Tamil minister in the UNP government. This act evoked praise worthy mention as an indicator of inclusiveness and tolerance. It could be seen therefore that this Island nation displayed a sense of accommodation towards the usage of Tamil language in the sphere of “officially” singing the national anthem for many many years. This state of affairs was upset in 2010 by the Mahinda Rajapaksa Govt. It was felt by some ministers that no proper procedures were being practised at official functions where the national flag was raised or national anthem sung. President Rajapaksa herefore instructed his Public Administration and Home affairs minister W.D.J. (John)Senevirathne to prepare a cabinet memorandum outlining the appropriate protocols to be adopted in relation to the national flag and national anthem. A cabinet paper incorporating basic guidelines was duly prepared and submitted for discussion and approval on November 3rd 2010.After preliminary discussion in November the cabinet paper was taken up for detailed discussion again on December 8th 2010. The officials who drafted the memorandum had relied greatly on a Singaporean piece of legislation as a model. The use of the national anthem is governed by Part IV of the Singapore Arms and Flag and National Anthem Rules made under the Singapore Arms and Flag and National Anthem Act. This act amended in 2007 was used as a model by Sri Lankan officials. Apparently there is a provision in the Singaporean act which stipulates that anyone singing the national anthem must sing the official lyric and not any translation of the lyric. The duplication of that provision in the Sri Lankan cabinet memorandum led to the unwanted controversy.The cabinet paper recommended the singing of the national anthem in Sinhala only and suggested that the Tamil translation in use for decades be summarily abolished. It was also proposed that those who were not proficient in the Sinhala language could write down the Sinhala words in Tamil or English and sing them. The Sri Lankan officials in emulating the letter of the Singaporean guidelines had missed the spirit of the Lion City state anthem. Although the majority community in Singapore are the Chinese (75.2%) the national anthem is in the Malay language spoken by 13.6% of the people. The national anthem written by Zubir Said is titled “Majulah Singapura” or “Onwards Singapore”. English, Chinese (Mandarin), Malay and Tamil are recognized as official languages in Singapore but Malay is regarded as the National language. Thus it is considered appropriate that the national anthem be in Malay. Translations are available in English, Mandarin and Tamil but only Malay could be used to sing the national anthem in official functions. Thus in Singapore where the national anthem is in a “minority” language there was an imperative need to debar translations and insist upon Malay alone being used officially to sing the national anthem. If translations were allowed the Mandarin or English version could swamp the Malay version. But this is not the case in Sri Lanka where Sinhala is firmly entrenched as the language of the majority and primary official language. It is the Tamil language that requires special measures and guarantees in the present situation. It was in this context that the cabinet paper dated November 3rd 2010 was taken up for detailed discussion by the cabinet on December 8th 2010.National Freedom Front (NFF)leader and former Construction, Engineering , Services Housing and Common Amenities Minister Wimal Werawansa at the outset welcomed the proposal to abolish the Tamil translation and sing the national anthem in Sinhala alone. Weerawansa informed his cabinet colleagues that the Tamils wanted to sing the anthem in Sinhala and said that when he was in Jaffna recently the national anthem had been sung in Sinhala only at an official function. The Jaffna Tamil gathering had sung enthusiastically , Weerawansa said. Pontificating further the former Janatha Vimukthi Peramuna (JVP)stalwart observed that it was a joke for a national anthem to be sung in two languages. He also “enlightened” his co – ministers that in India where so many languages were spoken including Tamil the national anthem was in Hindi only. Unfortunately Wimal Weerawansa as is typical was not well-informed on the topic he was waxing eloquent. There are several countries like Canada, Philipines , Belgium, Switzerland and South Africa where the national anthem is sung in two or more languages in full or in parts. At the same time many more countries allow limited use of translations. More importantly Weerawansa was incorrect in his reference to the Indian national anthem. The song “Jana Gana Mana” was written in Bengali by the illustrious Rabindranath Tagore a Bengali himself.It is however written in “Tatsama” and not colloquial Bengali.Tatsama Bengali is somewhat classical and has an extensive vocabulary of words “loaned” from the ancient Sanskrit language. About 70% of words used in Tatsama Bengali is of Sanskrit origin while only about 40% words in colloquial Bengali is Sanskrit. Bengali poets of the 10th century resorted to Tatsama because they felt that a greater deal of classical Sanskrit was required to express their thoughts in poetic form. Later in the 19th century another school of thought comprising English educated Bengalis revived the Tatsama poetry in a big way.Tagore was influenced by this school of thought and resorted to Tatsama in conveying his poetic thoughts in Bengali. “Jana gana mana” therefore had a lot of Sanskritised words intelligible to most Indo-Aryan languages . Incidently another of Tagore’s compositions “Sonar Bangla” or “golden Bengal” is the national anthem of Bangla Desh. Weerawansa was therefore incorrect in saying the Indian national anthem is in the official language Hindi. Weerawansa’s ill-informed onslaught on Tamil being used to sing the national anthem found a responsive chord in several ministers in Mahinda’s cabinet.One reason for this type of response was the view shared by some that Weerawansa was only articulating the wishes of President Rajapaksa. So some better informed ministers were seemingly in agreement with Weerawansa to curry favour with the President. Nanayakkara spoke eloquently on the need to be inclusive and fair by the minority communities. He saw no need for the removal of an arrangement that had been in practice for so many years. Comrade Vasu also pointed out that the need of the hour was to reach out to the Tamil masses and bestow upon them a sense of belonging. The national anthem proposal would be detrimental to national unity,he said. With Nanayakkara leading from the front, the counter-offensive to the “Sinhala only”imposition gained momentum. Rajitha Senaratne the then Fisheries and Aquatic Resources Development Minister , Douglas Devananda the then Traditional Industries and Small Enterprise Development Minister, Rauff Hakeem the then Justice minister and A.L.M. Athaulla the former Local Government and Provincial Councils Minister also joined the discussion and spoke out against the proposal. Athaullah had a counter –proposal. Why not include verses from Tamil also into the national anthem along with Sinhala? He queried. For the national anthem to be truly national both the Sinhala and Tamil languages should constitute it, observed the Akkaraipatru Stalwart who went on to propose a bi-lingual national anthem. The mood at the cabinet meeting changed and it soon became obvious that the proposal to do away with the Tamil translation of the national anthem was being met with stiff resistance. It was also clear that deep divisions were emerging on this account within the cabinet conclave. Gauging the situation correctly President Rajapaksa brought the discussion and debate to an end by announcing that the decision on the cabinet paper would be deferred indefinitely until a later date. He said that an intensive informed discussion was necessary before a final decision was arrived at. Meanwhile the status quo would remain as usual, the President stated. What happened thereafter is well known. Orders went out quietly to Govt officials and officers of the armed forces that the national anthem should not be sung in Tamil. There was no official decree but officially sanctioned unofficial instructions resulted in the silencing of the Tamil National anthem. Neither Vasudeva Nanayakkara nor Douglas Devananda could prevent this. The subterfuge adopted was that of maintaining status quo overtly while negating the practice of singing the national anthem. It was stated that there was no change and that the Constitutional provisions remained. Thus it was said that singing the national anthem was a right that prevailed and had not been taken away.an unofficial diktat however was strictly enforced by which schools, govt institutions etc were “discouraged” from singing the NA in Tamil. The armed forces in the North and East were tasked with the duty of preventing the National anthem being sung in Tamil. The Tamil people soon got the message and gave up attempts to sing the national anthem in Tamil. School children were compelled to sing the Sinhala words scripted in Tamil. People like Weerawansa went about saying Tamils wanted to sing in Sinhala and not Tamil. Thus the right to sing the national anthem in Tamil was suppressed forcibly on the one hand while it was falsely asserted that the right to sing the NA in Tamil remained still. Now there is a ray of hope again after President Sirisena’s assurance to Mano Ganesan at the National Executive Council. There has always been a hiatus between pledges and performances in the ethnic relations sphere of Sri Lanka. 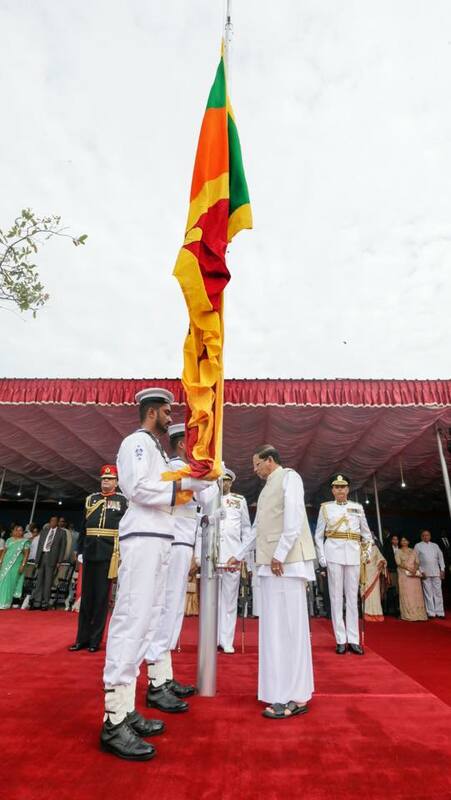 Already the knives are out to scuttle the move and it remains to be seen whether President Sirisena can bring about a transformation where the National Anthem could be sung by the Tamil speaking people in their mother tongue.